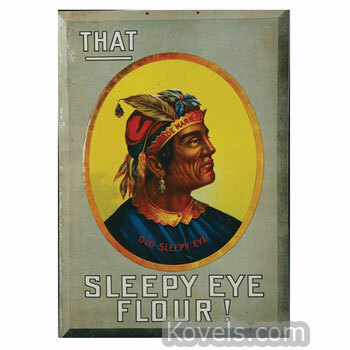 Sleepy Eye collectors look for anything bearing the image of the nineteenth-century Indian chief with the drooping eyelid. 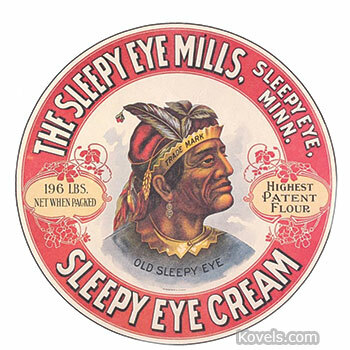 The Sleepy Eye Milling Co., Sleepy Eye, Minnesota, used his portrait in advertising from 1883 to 1921. 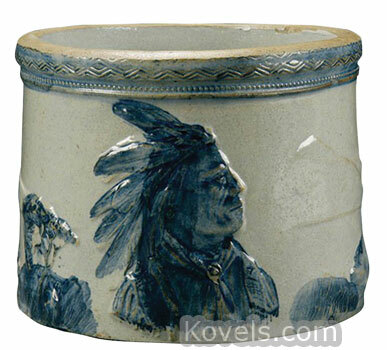 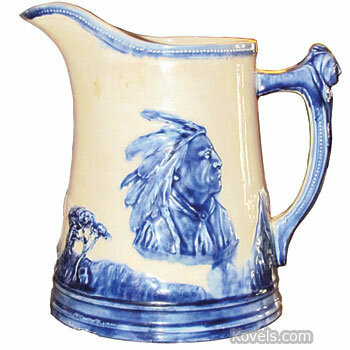 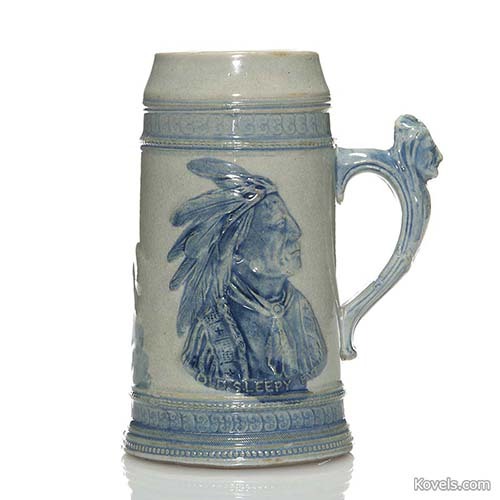 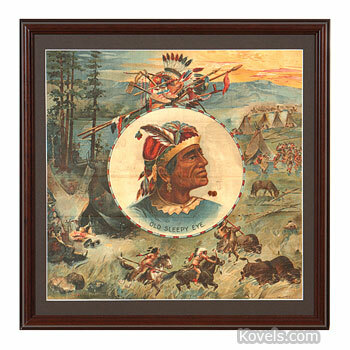 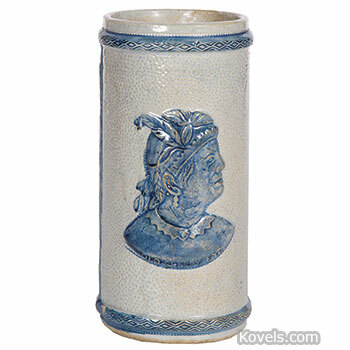 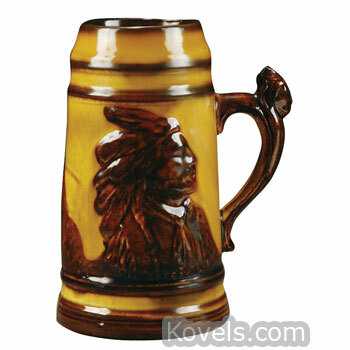 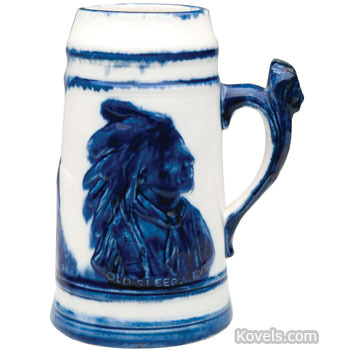 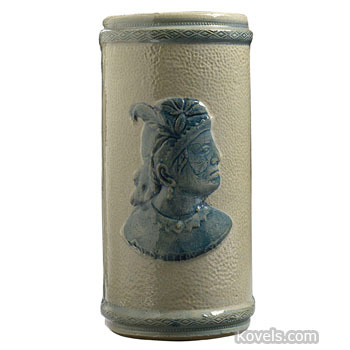 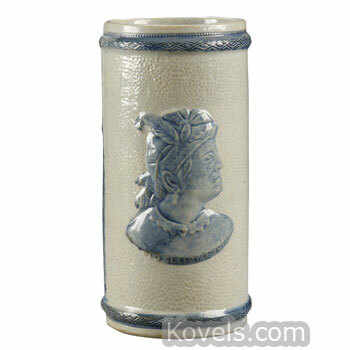 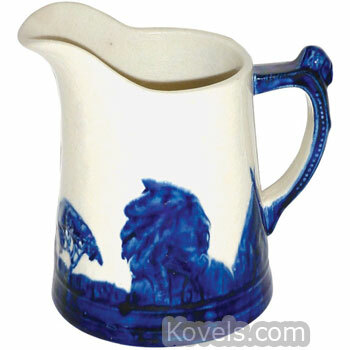 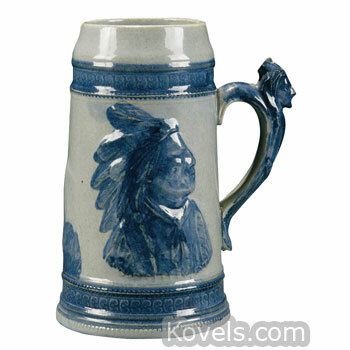 It offered many premiums, including stoneware and pottery steins, crocks, bowls, mugs, pitchers, and many advertising items, all decorated with the famous profile of the Indian. 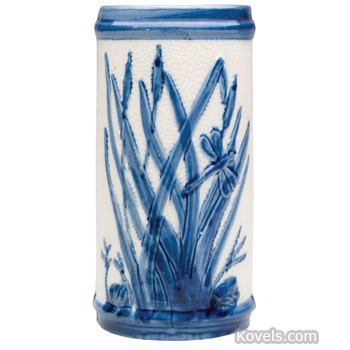 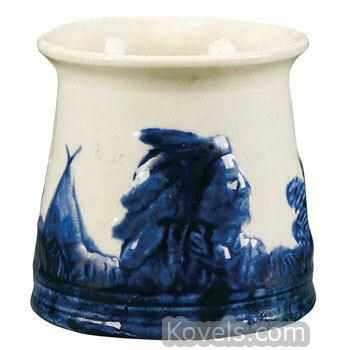 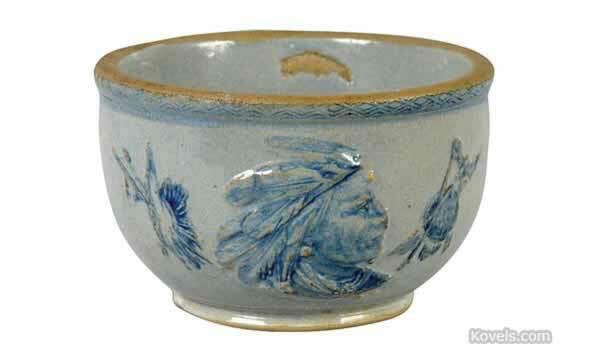 The popular pottery was made by Weir Pottery Company from c.1800-1905. 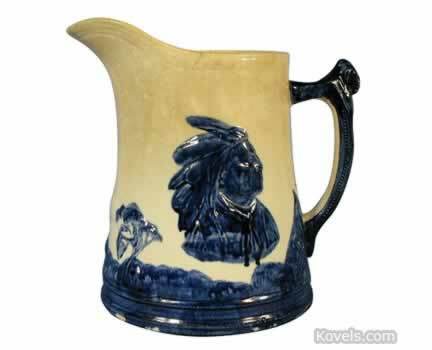 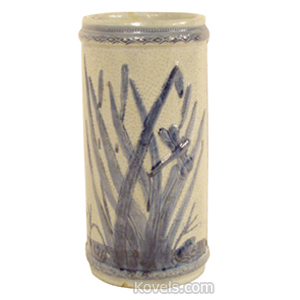 Weir merged with six other potteries and became Western Stoneware in 1906. 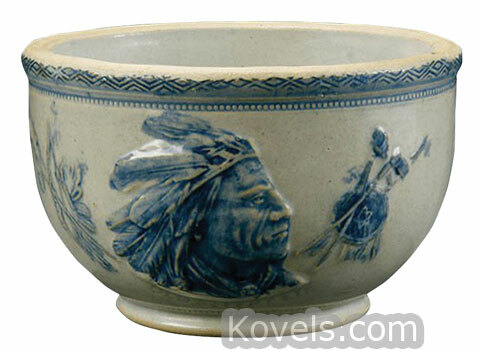 Western Stoneware Co. made blue and white Sleepy Eye from 1906 until 1937, long after the flour mill went out of business in 1921. 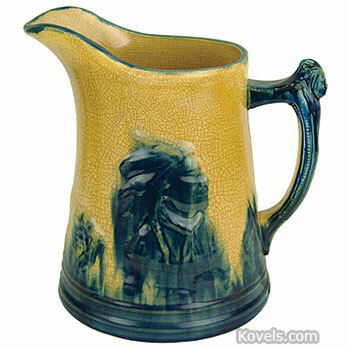 Reproductions of the pitchers are being made today. 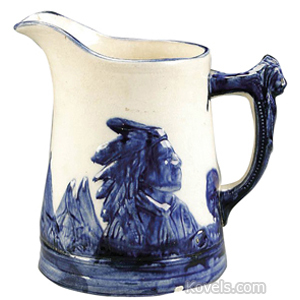 The original pitchers came in only five sizes: 4 inches, 5 1/4 inches, 6 1/2 inches, 8 inches, and 9 inches. 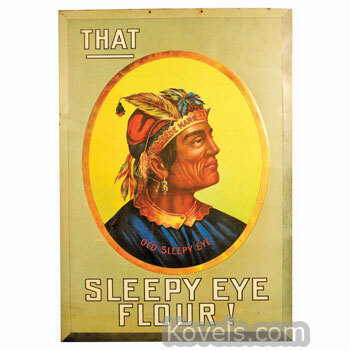 The Sleepy Eye image was also used by companies unrelated to the flour mill. 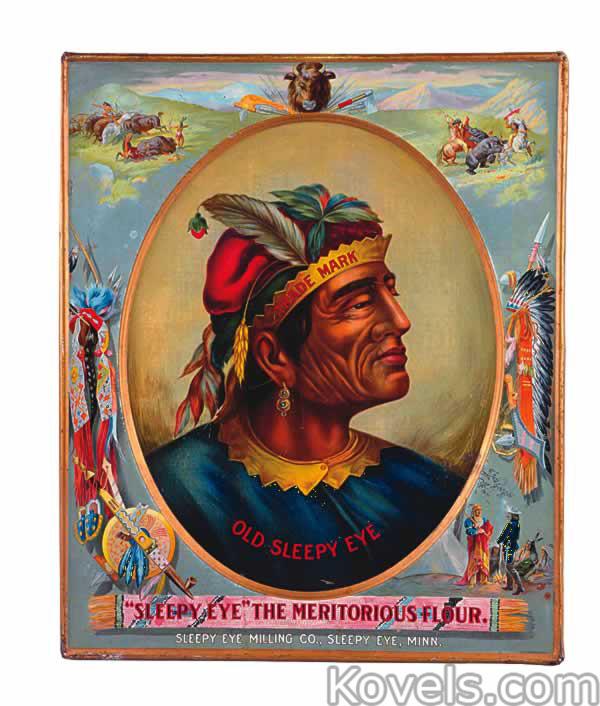 Sleepy Eye was one of four American Indians to meet President James Monroe in 1824 and was later involved in treaty that gave Sioux lands to the U.S. government.